On behalf of the men and women of the Hortonville Police Department, welcome to our website and thank you for taking the time to learn about our organization. I’m honored to have the privilege of serving the community and as the police chief, I invite you to browse our website and familiarize yourself with the various dimensions of our department. My hope is that these pages provide useful and interesting information about the police department and the services we currently provide. The dedicated professionals of Hortonville PD serve a population of nearly 3,000 citizens. We provide services 24 hours a day, 7days a week, and 365 days of the year. Our staff includes a Sergeant/SRO (School Resource Officer), a full time officer who works 20 hours as the SRO in the Greenville schools and the other 20 hours serving the community, three full time sworn police officers, five part time officers, and one administrative staff member. The members of the Hortonville Police Department truly care about the safety of our community and providing excellent customer service. Our staff responds to public safety needs with the most effective measures available within our existing resources with the primary focus of ensuring the safety and well-being of our citizens and visitors. We invite and encourage community members to take the opportunity to participate in our Community-Related Programs and Safety Events, including Neighborhood Watch, Citizen Ride Alongs, National Night Out and more. Our policing philosophy balances a foundation of traditional policing concepts with innovative and progressive methods to help evolve with our citizens into the future. Community problems are often best addressed by working in partnership with citizens; therefore, Hortonville PD will continually strive to improve public relations and increase public confidence. As you browse our web page, I encourage you to contact me with ideas you might have about police department matters you feel would be of interest to others. My goal is to make our page a good source of current information for our citizens and visitors to our community. As your Chief of Police, I will always listen to your needs and strive to be open and honest with community members as well as the men and women with whom I serve. I believe maintaining a high level of professionalism within the police department serves to maintain the quality of public safety citizens deserve and fosters collaborative efforts which result in the continuous improvement of community relations. 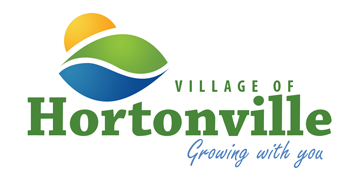 As Community members, you should know that your village administration-including our village trustees-have made an uncompromising commitment to public safety in Hortonville. I share this commitment and I encourage you to share with me your innovative ideas to improve our police services. Please feel free to contact me by email or phone with suggestions or comments. I can be reached at 920-779-6165 or by email at kbrownson@hortonvillepd.com.